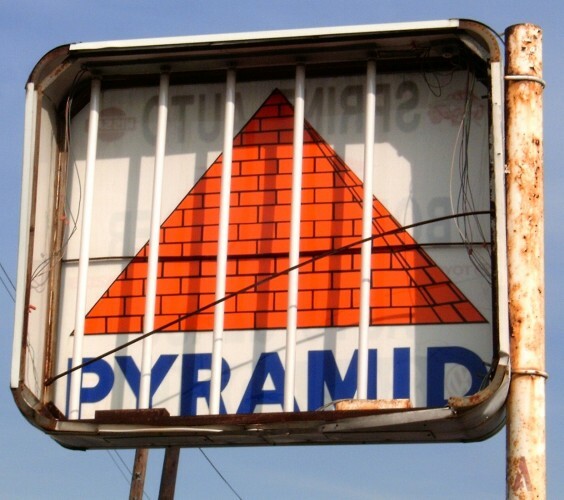 Pyramid sign in Newark, NJ. Found this because the other side's sign had fallen off. I think there is only one active remaining Pyramid in NJ.